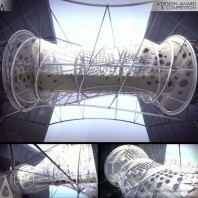 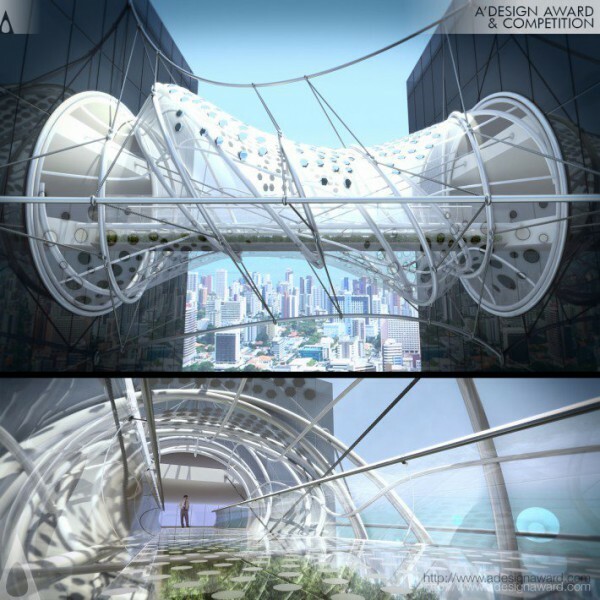 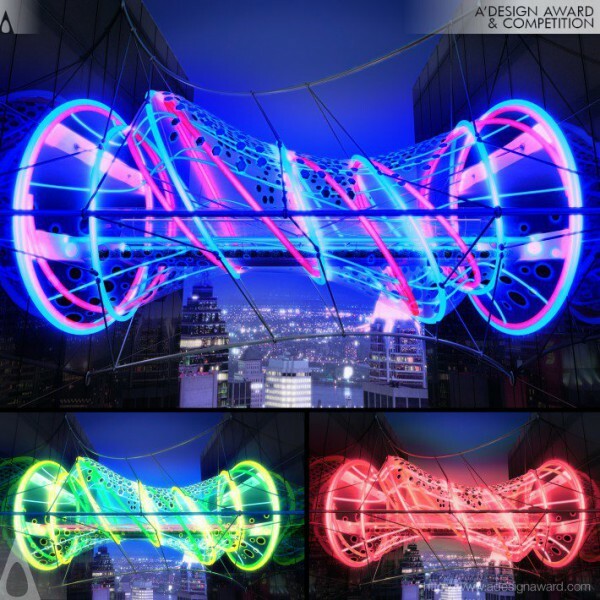 sanzpont [arquitectura], the architect of the award winning project Pedestrian Bridge by sanzpont [arquitectura] demonstrates, Dynamic ShapeShifting Helix Bridge Sustainable Pedestrian Bridge to cross between 2 existing buildings with Structural Flexibility. 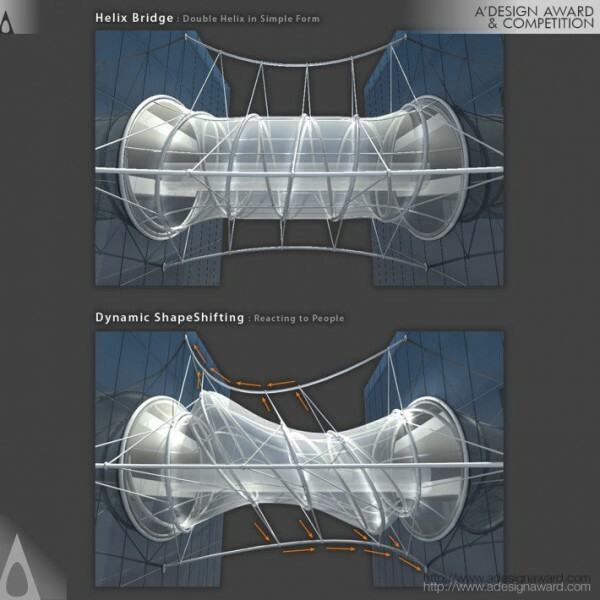 Being a flexible tensile structure, by applying more tension to different points, a technological dynamic deformation can be achieved in response to the people crossing the bridge. 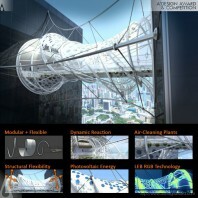 It becomes a living element that responds to its use. 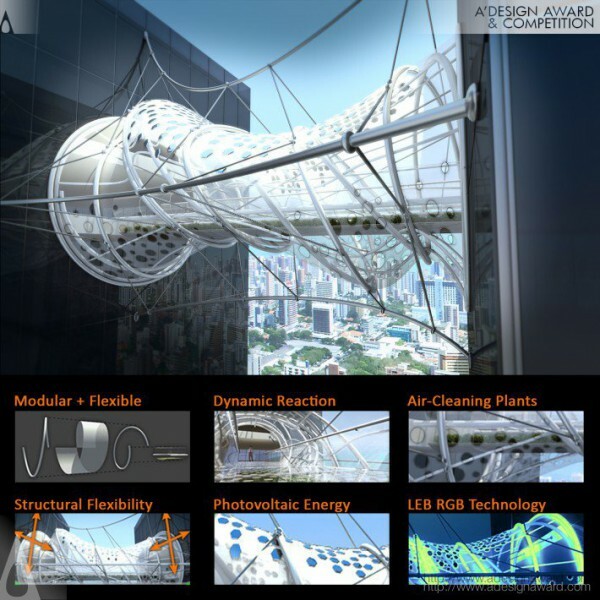 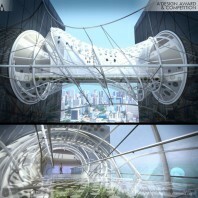 The project features a Modular Design, Structural Flexibility, Dynamic Reaction, Photovoltaic Energy, Air-Cleaning Plants and LED RGB Technology..